After much pondering, I figured out why I was so content on my flight back this time. What I just got back from was not just a holiday, it was a real vacation. Below are 7 signs you were on one. You work enthusiastically leading up to it. Short-term goals, build focus and single-minded dedication towards your teams ensures a truly laptop/e-mail free vacation. Set expectations and boundaries. Only when you value your vacation, others will too. It doesn’t hurt that the magical holiday ball at the Boston Museum of Fine Arts kicks off your vacation week. The Customary Holiday picture on the Grand Stairway – another year in beautiful Boston whizzes by. You hang out in more than one country. If you live outside of your home country, the quandary between visiting family back home and visiting new places can be a real head-scratcher. Stop-over journeys are the only solution. Boston-Reykjavik-Amsterdam-Paris-Mumbai flights are cheaper than direct flights from Boston-Mumbai. True story. Time spent in exquisite Europe, absolutely made up for the hop-scotch journey home and making a conscious decision to choose quality time spent with family over the quantity of time, will be worth it. You discover places you haven’t been to yet. Growing up an Army Brat, thanks to our adventurous parents, I thought I had seen most of India. Incredibly, the places still untouched are countless. The colonial charm of living in Fort William Kolkata, attending fancy horse races with the who’s who, immersing in the rich history of synagogues, Buddhist temples, and Armenian churches, exploring pristine world heritage site of Sundarbans revived a sense of wanderlust. You don’t count the calories. If only I had a penny for every time I craved mom’s home cooked food and Indian street food. Happens to the best of us. Elaborately planned 7 course menu’s by moms, grand moms, and aunts, months before you arrive throw Pilates, Yoga, and diet regimes right out of the window. And why not? In the age of intimidating super foods, good for you foods, and countless diets, perhaps true comfort food and traditional tastes you grew up on are as primal a need as love! You soak in all the family love you can. Growing up, I saw my mom and grandmom unconditionally nourish relationships. In times when, ever busy lives, soaring individual ambitions, and materialistic conquests have consumed us all, they remain rooted in the truth that family is not an important thing, but that it is ‘Everything’. No wonder when I look for the happiest happiest times in my mind’s eye, it’s often not academic or professional success, or financial freedom, or the latest material purchase. It’s the warm family meals around tight dining tables, lazy afternoons spent with grandmothers, aunts, mom, Aarati and Oscar all crammed on one bed spilling over floors gossiping, and fuzzy moments knowing your family is always behind you. You take time and journey back to your true roots. Our most treasured heirlooms are the memories of our childhood. Visiting ancestral homes you were born in and listening to stories about your forefathers’ adventures gives you a unique sense of belonging. Despite traveling the world, I find that Guntakal and Vishakhapatnam remain the points of origin of my universe. You indulge in an off-the-grid getaway with best friends. Whirlwind travel calls for a vacation from your vacation. A rustic home-stay on a 25 acre coffee estate with absolutely no cell phone coverage was a perfect way to ring in 2017. 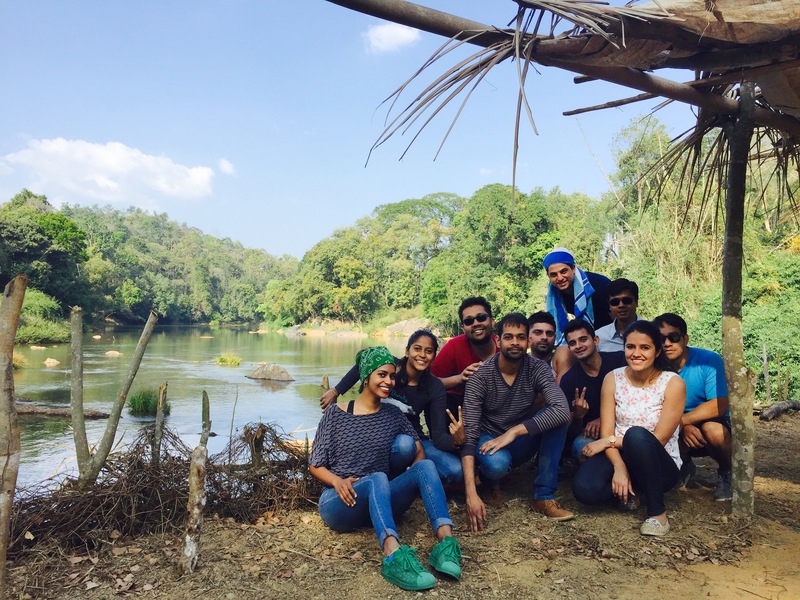 Long plantation walks, lazy swims in the river Kaveri, warm bonfire and barbecue sessions into the wee hours of dawn, competitive carom and uno matches, authentic Corgi cuisine, and endless conversations is what lifelong memories are made of. Real vacations are truly rare to make happen. But the next time you take a vacation, make it count. Hoping 2017 brings lots of hard work and tons of harder play time for everyone! Previous 10 things that change when you start working full-time. Next 7 times I was awestruck in Iceland.